What Makes a Good Benchtop Sander? Benchtop sanders are one-of-a-kind sanding machines that are built to last for years and offer more power and control for larger sanding projects than handheld models. They are commonly used by both do-it-yourselfers and professionals and are commonly found in home workshops. Benchtop sanders are less portable than handheld sanders but they offer more power and more versatility. 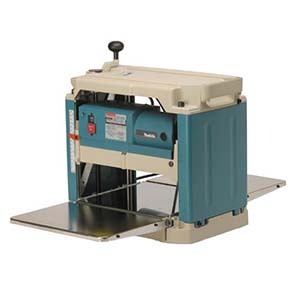 The most versatile sanders offer a belt and a disc built into a single sander. Higher grade sanders are a good investment if you want to work with larger pieces of material or need to complete a lot of sanding work. Handheld units are great for running over a finished product and cleaning up a finished job. Benchtop sanders are for heavier work and have more power and a larger sandpaper surface for faster completion. The more powerful motors will also enable you to sand more than just wood. You can tackle metal, and even steel can be sanded with a heavy grit paper if you use a benchtop sander. The benchtop sander is available in both a freestanding unit and a table top unit. For most homeowner applications the table top unit will give you all the power and versatility needed for home projects. The freestanding sanders are more expensive and accept heavier grades of sandpaper, but are only needed for larger commercial applications. With the cost being substantially more, the table top sanders will be able to complete most do it yourself projects with ease at a very affordable price. 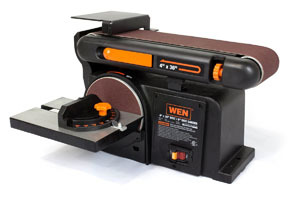 After reviewing 23 benchtop sanders on the market, the WEN 6502 4 x 36 inch belt with 6 inch disc sander was the best of its class. With its extremely safe and sturdy cast iron base paired with a 4.3 AMP motor it can tackle all home jobs needed. It is also powerful enough for those running a small workshop. The value of the Wen to top of class when looking at the features offered compared to the cost. It was a clear winner in every category. This benchtop sander is equipped with everything you need to get the perfect sanding job time and time again. Benchtop sanders are found in both home and professional workshops. They are easy to use and can be enjoyed by both beginners and experienced handymen, carpenters, construction workers. They are also useful in making furniture, and any application where wood is involved. 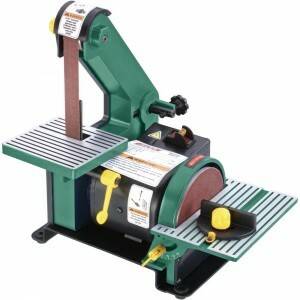 The benchtop sanders are small enough to fit in any home workshop and compact enough to carry to a job site if needed. Primarily benchtop sanders are used for the beginning stages of the sanding process, and are also commonly used for rapidly removing material such as paints or finishes from wood. They are used in both building and refinishing furniture, or simply to smooth out a project you are working on. If you work with wood on a consistent basis, then a bench sander will speed up the amount of time it takes to prepare or finish wood projects. There are several elements you want to look for when purchasing a benchtop sander to ensure you are getting exactly what you need. The first consideration is the adjustability of the belts. Can you tilt them to your project specifications or is the belt drive stationary. The ability to tilt the belt gives you increased flexibility in rounding edges and other detailed work. Some benchtop sanders have belts with the ability to tilt anywhere from 0 to 90 degrees. This feature is great to have as it allows you to get a more detailed finish as well as the ability to better reach corners and the under sides of your project. It even provides a more comfortable grip so you won’t need to bend or twist to get to those hard reach places. Another aspect of the benchtop sander that impacts performance is the base. Benchtop sanders come with different types of bases to provide a variety of support or weight to your machine. A cast iron base is the most sought after because it prevents heavy vibrations which overall makes the use of the tool safer and more comfortable. Next is deciding how much power you need, which is determined by the size of the motor. Power is measured by the RPMs with higher number of RPMs will provide a stronger more aggressive sanding job. It is important to note that a benchtop sander with less RPMs will rotate at a slower pace and be more suited to smaller projects. 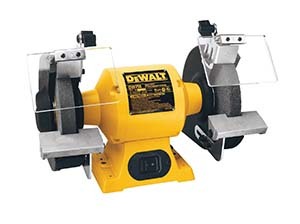 Higher RPMs can tackle larger projects as well as heavier sandpaper grit for deeper sanding. A tension release lever is found on some benchtop sanders. This lever provides for simple changes to sandpaper grit, and ads to the convenience of using the machine. Lastly, the weight of the machine will determine its portability. Yet the most powerful sanders have larger motors and therefore will weigh more. Finding the right balance will be determined for how and where the sanderwill be used on a regular basis. Through internet research we were able to identify the sanders available on the market. We them consulted with professionals who use bench sanders on a daily basis to determine which features were most valuable. From there we were able to narrow down the list. After further examination and testing we selected the top contenders and completed additional research including handyman websites, do-it-yourself blogs customer reviews, home improvement blogs, opinions from specialists and technical sites. The final picks were compared on Amazon to find the top contenders and chose the best on class for this review. We took into consideration the many elements of the benchtop sander including performance, cost, accessibility, product quality, motor size and performance. The WEN 6502 includes a heavy duty cast iron base to reduce vibrations and provide a steady workspace. This feature eliminates wobbling and sliding and provides a secure surface for working. This is the ultimate safety feature as you will never have to worry about it being accidentally knocked over or moving out of place while you work. It has enough power to sand and smooth jagged edges and splinters. It will no bog down under heavy loads and has the power for heavy grit jobs. It comes with an adjustable belt with the ability to go not only from a horizontal to vertical position but also anywhere in between. This benchtop sander offers a 0 to 90 degree angled belt to provide maximum finish to every single project, in all of the hard to reach places. It also includes a second 6 inch disc sander that can get angles and detailed sanding for a variety of surfaces. The miter gauge on the sanding disc is accompanied by a support table with 0 to 45 degree beveling capabilities and a removable milter gauge. The two sander combo ads to the versatility and will provide fast and efficient sanding for all of your needs. For easy belt changes there is a tension release lever and does not require any tools to change paper. The WEN 6502 has a 4.3 Amp motor with ½ horsepower of power. It provides up to 3600 RPMs giving you ample power for nearly any project a homeowner will come across. Included is a table with the miter gauge and an extended blade guard. It is powerful enough to sand both wood and steel objects. Also included is a dust collection port, a 2.5 inch addition to minimize cleanup and help keep dust and debris controlled. It also has a stop bar for better safety and control. It is also backed by a two year warranty. The frame is aluminum which offers a sturdy support and one of the lowest vibrations for units in this class. 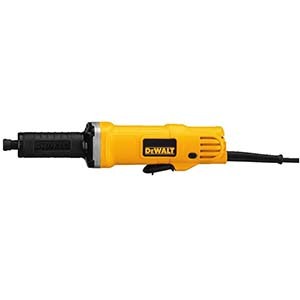 The motor is very powerful and offers high speed sanding to get the job done quickly. As with any tool it is a good idea to use safety precautions to protect yourself before operating any power equipment. That being said we have compiled a few safety measures you should take while using a benchtop sander. Always wear protective goggles or face mask to protect your eyes and face from spare wooden parts or debris that may come from the use of your sander. Wearing protective gloves can also be a great measure to take as it protects your hands and forearms from the particles and debris of your working materials. Ensure that your sanding belts are not too tight or too loose, and never operate a sanding disk if your sanding paper has become loose. Do not use excessive force when meeting materials to the sander. Always sand in a downward stroking motion. Use an air hose to clean out the drum after every job. This will keep things clean and working properly. Inspect the plugs often. If your plugs aren’t working properly you run the risk of damaging other parts of your machine, so it’s important to keep these clean and clear. Benchtop sanders are a great tool for all skill levels and can help you to master a variety of tasks and projects. When working on wood projects a sander is an essential tool, and upgrading from a handheld to a benchtop sander will offer the reward of faster sanding with less time involved. An added bonus is that you will also find you can sand pieces with greater accuracy. As your skill increases and your confidence builds, be sure to think about adding a benchtop sander to your arsenal of woodworking tools. Your work will show a higher level of quality and and you’ll also be able to get each job finished more quickly and easily not to mention with more precision and accuracy!